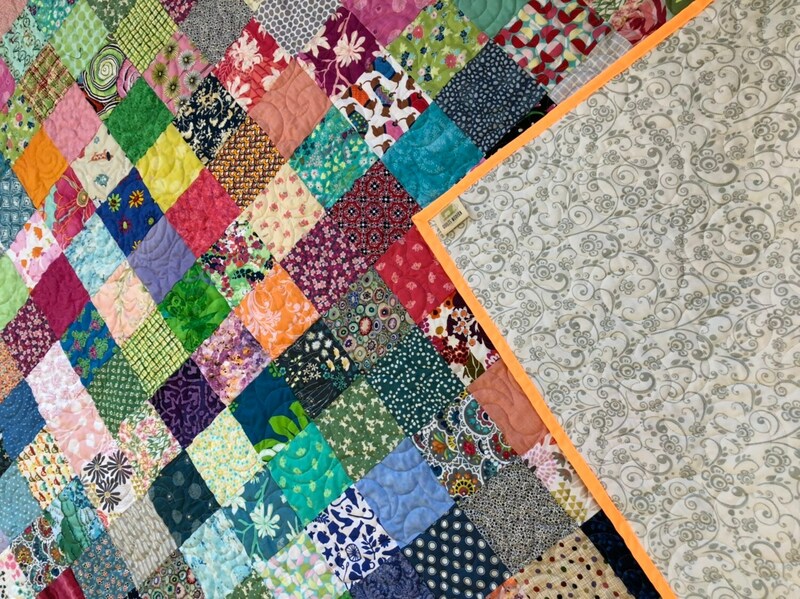 Four inch squares combine to make this colorful Full/Double Patchwork quilt. *Quilt is made of new fabric in all different colors. *The backing fabric is a white background with a floral swirl pattern. *The quilt has been quilted in a all over swirl design. *The binding is machine attached for durability. We choose a sherbet orange to make this quilt very "Springy" and it reminds us of the "push-ups" we loved as a child. *The batting is a cotton blend. Quilt measures 80" X 94". Quilt will get softer and softer with each washing. Wash cold water-line or tumble dry. I use quality thread on all my quilts and quilt in a dense pattern. The quilts are soft to the touch and will keep their shape after many washings. Quilt is Ready-to Ship with Free Shipping to the USA.